In this podcast, Derek is joined by Sunshine Lichauco De Leon once again, an international journalist and a filmmaker. 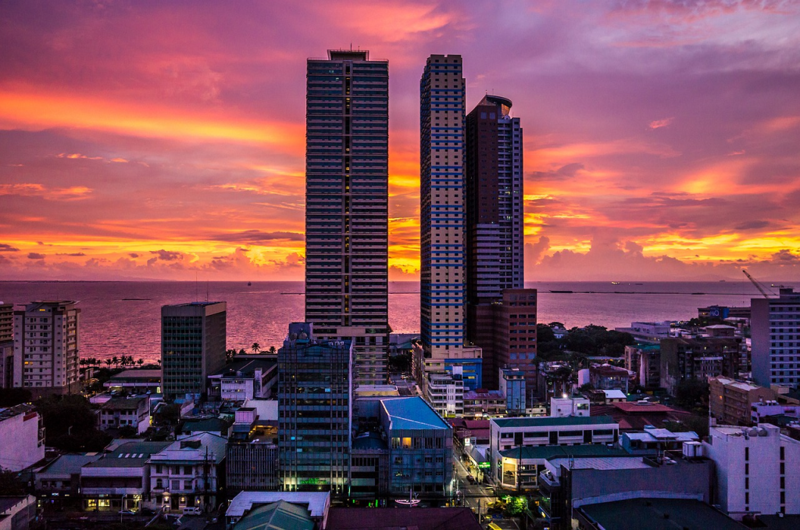 She shares her insight about Philippine outsourcing and digging deep into the Filipino culture. Sunshine states that to understand one country like the Philippines, you need to understand how other countries might perceive or misperceive that country so it’s important to be able to bridge the two worlds. For Sunshine, the Philippines is a little bit more complicated because it appears to be very much western. Every country will have that part of it that looks the same as everywhere else but human nature being. I think that it’s human nature that whenever everything starts to get some people it’s hard to differentiate. She likes to think that people have the spirit of innovation and expressing their own individuality, no matter how small it might be will still come out. Filipinos are very creative and very innovative. Nothing is black and white and you have to be able to understand those layers of complexity that lay beneath the surface for better or worse in order to take advantage of the possibilities of art. It’s all about nuance you have to understand that every culture, every relationship, every transaction, has its nuances and if you understand those then you are prepared how to deal with them, how to react to them. Derek: Hi and welcome to another episode of the Outsource Accelerator podcast. My name is Derek Gallimore and this is episode number 86, so if you want any show notes then go to outsourceaccelerator.com/86. Today I am joined again by Sunshine Lichauco De Leon. She is an International journalist. She is a filmmaker and has made a movie called Curiosity, Adventure & Love. We actually spoke to Sunshine previously about the film, the making of it in episode 78 and we also introduced Sunshine and her journey in episode 65, so if you want to get the full back story then go check out those episodes but this is a great episode in itself and we look at the concept of Sunshine producing a Filipino based movie produced in the Philippines about the Philippines and how she’s taking on the world with that product so I relate this to business in that I have a theory that things could be built in the Philippines to take on the world and I encourage all people considering outsourcing to consider this approach to their business. It’s not just about sending a back office function to the Philippines so I hope you enjoy this episode. If you want any information then go to outsourceaccelerator.com/86 and enjoy. Derek: So one of my strategies for the Philippines is a lot of people listening here who are interested in outsourcing and very commonly that is to bring back office functions, back end functions over to the Philippines and I believe in flipping that pyramid if you will upside down so that you can harness the best of Philippines and effectively build an organisation, build an entity, build an interest in the Philippines and then take it to the rest of the world. You know when you are talking purely commercial models, the obvious advantages are there and there’s more affordable cost space but how do you feel in terms of you know there’s more and more I think awareness now of the Philippines to the rest of the world and you have created an award winning documentary that is being taken to the world at a Philippine, proudly Philippine produced story, it’s a story about the Philippines so what is your experience in terms of taking the filipino product and filipino story to the world and how it’s being received but also commercially I suppose yeah kinda mixed of doing that. Sunshine: I think there are a lot of very good stories in the Philippines I think the challenge is to understand how to relate those to the rest of the world. I know it’s a struggle we had in my film. I can only speak about that, I think that it’s a point to understand one country like the Philippines but also to understand how other countries might perceive or misperceive that country so it’s important to be able to bridge the two worlds. I tried to do that in my writing and I think that I have found in filmmaking it’s also important I think that there are a lot of great films out in the Philippines but the challenge is always to understand how to relate that to a world that doesn’t really know anything about the Philippines, so when we wrote in my film, for example, I was very careful to write it so that anybody would understand it, not just Filipinos,. For me the story was always a, it is always a story about humanity, the story about the world, so I think anyone who is trying to link the two worlds has to understand the world they’re coming from the world they’re dealing with and where they intersect and how they might misunderstand each other or understand each other and bridge that in business in art in anything, I think that on the outside, the Philippines if you just come here and know nothing about the Philippines you arrive and you’re like “oh it’s very american it’s very western” you know and there can be a comfort level and you live here a couple of months and you’re like “well it’s actually western but it’s not” you know what I mean? So I think you have to, nothing is black and white and you have to be able to understand those layers of complexity that lay beneath the surface for better or worse in order to take advantage of the possibilities of art, the possibilities of business, the possibilities of anything. We don’t live in a world that’s black and white and everybody has to remember that you know what I mean like what do you see on the surface that is not what you are going to get underneath. Derek: There’s a certain amount of translation you need for anything isn’t it? Derek: If you flip that around if there’s people building stuff here to take to the rest of the world people might think that they are completely westernized here but actually there is a slight translation needed because of cultural difference. Sunshine: Always, I mean always, it’s never going to be what you think it is exactly, yes the Philippines understand the west more than most Asian countries but the people are not western, they don’t communicate in a western way. They don’t understand things in a western way, you know what I mean. So you, it’s all about nuance you have to understand that every culture, every relationship, every transaction, has its nuances and if you understand those then you are prepared how to deal with them, how to react to them. Derek: It’s a subtlety, isn’t it? Sunshine: It’s a subtlety, exactly. Nuance subtlety, exactly. You can never assume “oh it looks very western in the Philippines so they’ve got to understand our product completely, you know what I mean, they got to understand that not it’s not like that I mean it is, but it isn’t and as soon as you understand that it’s not exactly what it seems. The more you’ll be ready to understand how to deal with that country and how to best manners those people and how to take advantage of those opportunities. I think that people don’t always, it’s human nature to not always understand to look at the different layers of complexity and the different nuances on people’s behavior. I think it’s a common mistake in any country you know what I mean like you can’t be too comfortable you can’t think “oh well looks western so therefore we are going to treat you like we treat the Americans” you know what I mean, no the culture here is not American it has western influences but the education is not the same that cultural family influences are not the same right and there’s all things that create human beings. Sunshine: Which is terrible isn’t it? Derek: Yeah it is and it sort of culturally, kind of dilutes everyone but commercially it’s actually quite contagious isn’t it, but could you, do you see a Philippines in 20 years from now where you possibly can’t distinguish it from an LA suburb? Sunshine: I think with every country the yes and no. I think my instinct use to say that every country will have that part of it that looks the same as everywhere else but human nature being what it is there’s always a rebellion, you know what I mean and so I think there will always be a hungry belly, there will always be people seeking in places that people don’t go to and talking about thing like you’ll never kill innovation in human spirit you know and I think that the Filipinos are very creative and very innovative and I think that a huge advantage of the culture, they’re super creative they just need to harness that. So I think that, no I mean yes and no, you can go to a country and see exactly what you want to see that is similar to the rest of the world or you go to a country and see something different. I think that there’s always a human desire to go against what there, just a question on how long it takes to surface and how strong that force is. I remember like when I was a student in Paris there was a word in my french or history class that I always loved,everything in my understanding as a student at that time it was every action is the exact opposite of what was and I remember thinking at that time what a great word it doesn’t exist in America as a concept. You know what I mean that there’s one word that. Derek: So you’re saying the movement towards a homogenized culture would actually create a rebellion against that and create their own subcultures? Sunshine: I think it always does. I’m just saying that I think that it’s human nature that whenever everything starts to get some people it’s hard to differentiate. Sunshine: I don’t want to give a name to anything. I’m just saying i think that when everybody starts to use stationary people. You know what I mean I’m just saying that it’s not in our nature to always to do the same thing everything worldwide, I hope not. I mean I don’t know but I think there’s always a subset I think it just depends on how strong that subset becomes. Derek: There’s 2 another podcast in 20 years. We can review. Sunshine: Maybe I’m wrong but I like to think that people spirit of innovation and expressing their own individuality no matter how small it might be will still come out.